Quick announcement first: I’m gearing up for a big science communication conference next week. There will be a lot of cool stuff there, which I’ll be sharing all through the conference on Instagram and Twitter! BUT there won’t be a blog post next week. The next one after this will be the Friday after, April 13. 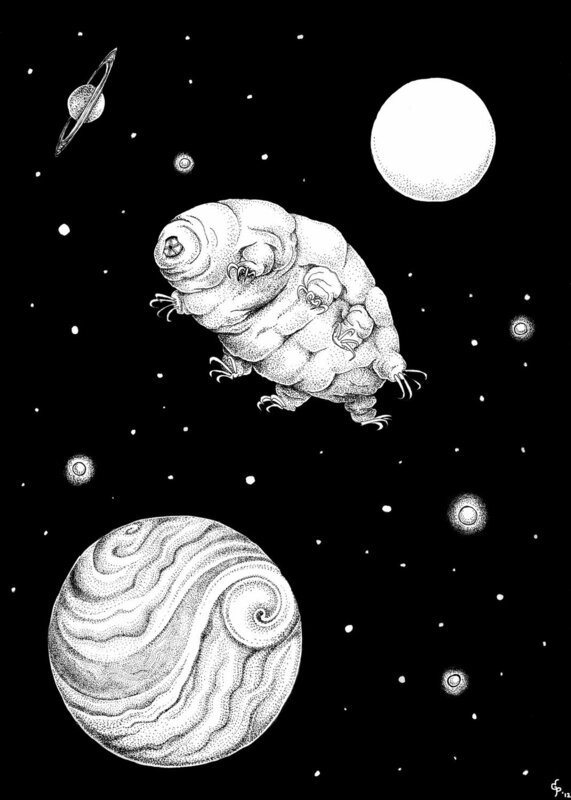 The future is tardigrade. Image from the Science Photo Library, via Nature. Tardigrades curl up into a tun (right) to protect themselves from extreme environments. Image from Goldstein Lab. Tardigrades first appeared on Earth some 500 million years ago, pretty much exactly the same way they are now. They’re prolific, arguably cute, and basically indestructible, so why change? These aquatic 8-legged micro-animals have an amazing set of adaptations that allow them to survive just about anywhere, although most just hang out in patches of moss or swampy areas. But they’ve been found all over the planet, from the peaks of the Himalayas to the depths of the oceans. Their most notable survival trait is their ability to become a tun, a curled up dehydrated ball that keeps them in stasis. When a tardigrade becomes a tun, the metabolism slows down and a sugary substance protects the internal tissues. Some tardigrades live in environments where they have plenty of water, but not enough oxygen – they enter a stretched-out state designed to maximize oxygen intake. Tardigrades are the only known organisms to be able to survive exposure to space. Image from the TARDIS (Tardigrades In Space) Project, via Team Tardigrades. Decades of dehydration, and possibly over 100 years without water – one researcher claimed that tardigrade tuns from a 120-year-old moss sample came back to life when exposed to water, but the result has never been replicated. Direct exposure to X-rays and gamma radiation strong enough to destroy DNA in other organisms. The freaking vacuum of SPACE, with no protection, for more than a week. Humans couldn’t do that for more than about 15 seconds. 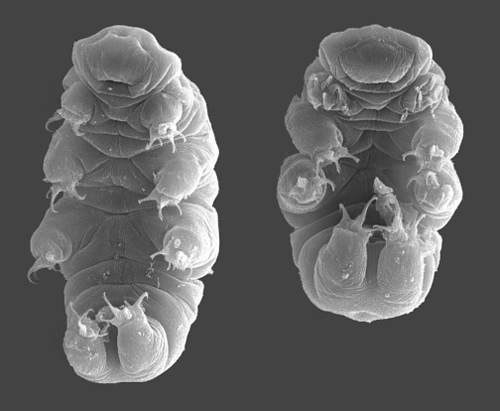 But tardigrades exposed to space for 10 days survived and some even had viable offspring. WHAT. No doubt about it – they’ll outlive us all. Here’s the best part: Tardigrades are everywhere. There are over 1000 different species in just about every environment on the planet. You could collect some moss from your backyard or local park, and probably find some tardigrades if you look carefully. But no need to freak out about it – they’re harmless. Anyway, here’s a video of a tardigrade having a poo. Talk to you in a couple weeks!